New Delhi/ Lucknow: Congress general secretary Priyanka Gandhi Vadra embarked on her political journey from the top of a truck that drove through the streets of Lucknow on Monday as her party launched its campaign in Uttar Pradesh for the forthcoming Lok Sabha polls. The two general secretaries will interact with party workers at the state Congress office in Lucknow on February 12, 13 and 14. Priyanka Gan-dhi is the Congress’ big hope for the 2019 Lok Sabha elections who will be shouldering the respo-nsibility of reviving Con-gress fortunes, especially in the eastern part of Uttar Pradesh, say party insiders. 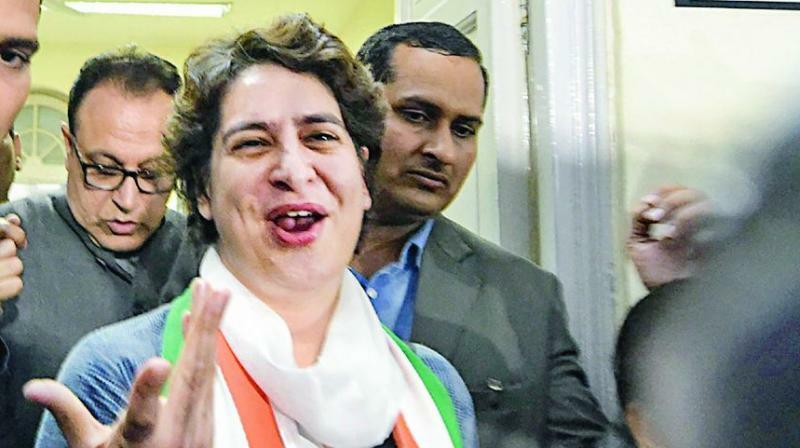 Uttar Pradesh Congress Committee spokesperson Rajiv Bakshi told PTI that Priyanka Gandhi’s entry into formal politics will enthuse party workers.